This is a play and it is somewhat long and involved. "Some you guys, may be surprise at what I am about to say--Who is is this lame that says he knows the game and where did he learn to play. Well if you will gather round--I'll run it down and explain this mystery. It was Saturday night and the neon was bright as the gamers stalked their prey." Alcoholism is a tragic drama played out in three acts by at least four persons. One person cannot become an alcoholic without the help of at least another. The disease cannot appear in isolation, progress in isolation, nor maintain itself in isolation. One person drinks in a way that is completely unlike social drinking. Others react to the drinking and its consequences. The drinker responds to the reaction and drinks again. This sets up a merry-go-round of denial and counter-denial, a downward spiral, which is called alcoholism. Therefore, to understand alcoholism we must not look at the alcoholic alone, but view the illness as if we were sitting in a theater watching a play and observing carefully the roles of all the actors in the drama. As the play opens, we see an alcoholic front and center. He is the subject of this act, and all others are the object of his action. He is a male between the age of 30 and 55, of better than average intelligence, skillful in certain areas, and may be quite successful in a particular field of work, though his self-idealization is often far higher than his self-realization. As the play progresses, we see that this person is very sensitive, lonely and tense. He is also immature in a way that produces a very real sense of dependence. However, the alcoholic acts in an extremely independent fashion in order to deny and conceal this dependency, and from this characteristic of alcoholism comes the name of the play--"A Merry-Go-Round named Denial. The alcoholic has learned by chance or by experimentation that the use of alcohol has profound effects upon him which are psychologically beneficial. Nonspecifically, it dissolves all anxiety, reduces all tensions, removes all loneliness and solves all problems for the time being. If the situation becomes unpleasant or unbearable, there is the conscious or unconscious knowledge that a few drinks will relieve instantly. It is his psychological blessing, and regardless of the many and varied curses it may bring, the use of this substance becomes the most important thing in his life because of the enormous, immediate benefits it brings him. For the time being, it solves all his problems. The play opens with the alcoholic asserting his independence in many ways, especially as he relates to his family. Communication is very difficult and there is little understanding of what others are saying. In one sense, the alcoholic does not hear anything that is said to him about his drinking. Conversations are more like one way streets than exchanges of ideas. Yet the words which the alcoholic speaks or hears are far less important than what he does or what is done by others in the play. This is why it is so important to see the play in order to understand alcoholism. To observe the alcoholic alone, to read a clinical evaluation, or to listen to the tales of woe of the family is only a small part of the drama. The name of the play and the key word in the entire illness is "Denial," for there is constant verbal contradiction of what is happening and what is being said by all the actors in the play. If the play were done in pantomine, it would be far less confusing. Early in the first act, a situation arises which results in the alcoholic taking a drink. When he begins to drink, we see something is different in the way he drinks. He drinks hard and fast; in fact, he ingests alcohol at a rapid pace in large amounts. He may drink openly, but it is more likely he will conceal the amount he drinks by drinking off stage and rarely in the presence of other members of the cast. This is the first aspect of denial, the concealment of the amount he drinks. If he were not conscious of his overdrinking, it would occur openly, with no concealment as to amount, time, place or circumstances of drinking. Verbally, he is stating that he does not really drink more than other persons, but in reality he drinks far more than the social norm, more often than others, and it means far more to him than it does to other persons. The alcoholic drinks to excess, but this is not a matter of choice. It is a necessity, for the first indication of alcoholism is the inability to drink temperately or socially. Repeated denial by concealment indicates the tremendous importance of the psychological effect of excessive drinking and the inability to stop after one or two drinks. After a few drinks we witness a profound change in the attitude of the alcoholic. It has given him a sense of success, well-being and self-sufficiency. It puts him on top of the world and gives him a sense of omnipotence. He is now right and all others are wrong, provided there is a difference of opinion or anyone voices objection to his drinking. There is no one act or deed which all alcoholics perform while under the influence, but there is a continued revelation of irrationality, irresponsible and anti-social behavior and at time deviate or even criminal behavior, such as driving under the influence. If drinking continues long enough, the alcoholic creates a crisis, gets into trouble and ends up in a meaa. Again there is infinite variation in how this is done, but the movement of act one is always the same. A dependent person acts in a very independent fashion, drinks to convince himself of his independence, and then the consequences of drinking put him in a condition in which he depends upon others to protect him or remove the consequences. When he ends up in a mess, he just waits for something to happen, ignores it or walks or runs away from it, or cries for someone to get him out of it. In Act One, Mr. Completely Independent gets drunk and becomes a very dependent person who cannot remove or solve the consequences of his drinking. Alcohol, which gave him a psychological sense of being a successful man, now strips him of the costume of independence and removes the mask of omnipotence. We see him as a helpless, dependent child. In act two the alcoholic becomes completely passive, and the object of the other three characters who are the subject of the act. The first person to appear is one we might call the Enabler. a guilt-laden Mr. Clean, whose own anxiety and guilt will not let him endure the predicament of his friend, the alcoholic. He sets up a "rescue mission" to save the alcoholic from the immediate crisis and relieve the unbearable tension created by the situation. In reality, this person is meeting his own need rather than that of the alcoholic. The Enabler is usually a male outside the family, but at times, the role is played by a relative. The Enabler may occasionally be a woman. Professionally this role is played by ministers, doctors, lawyers and social workers, members of the "helping professions." Unfortunately, many professional persons today have not received adequate instruction on alcohol and alcoholism, they act in the same manner and for the same reason as nonprofessional Enablers. This denies the alcoholic the process of learning by correcting his own mistakes, and conditions him to believe that there will always be a protector who will come to the rescue, despite the fact that they insist they will never again rescue him. They always have and the alcoholic believes they always will. Rescue missions are just as compulsive as drinking. The next character to come onstage may be called the Victim. This is the boss, employer, the foreman or supervisor, the commanding officer in military life, a business partner, or at times a key employee. The Victim is the person who assumes responsibility for getting the work done if the alcoholic is absent due to drinking or is half on and half off the job due to a hangover. By the time alcoholism begins to interfere with the man's job, he may have been working for ten or fifteen years for the same company, and the boss has become a very real friend. Protection of the man is a perfectly normal thing, and there is always the hope that this will be the last time. Yet as alcoholism progresses as an illness, the overprotection of the Victim becomes essential if drinking is to continue in this fashion. The Victim, in effect, saves the job just as the Enabler saved the alcoholic from the crisis. In this scene we become aware of the fact that this is not the first time such an event has occurred and will not be the last one. The third character in this act is the key person in the play, the wife or mother of the alcoholic, the person in his life who is the center of the alcoholic's home. Usually it is the wife, and we are aware of the fact that this person is a veteran at this role and has played it much longer than the other characters in the act. For lack of a better term, we may call this woman the Provocatrix, or the provoker. She is provoked by the recurrence of drinking episodes, but she holds the family together despite the disrupting factors of alcoholism. In turn she becomes the source of provocation, and controls, coerces, adjusts, never gives up, never gives in, never lets go but never forgets. The attitude of the alcoholic is one that allows failure on his part, but she must never fail him. He is free to do as he pleases, but she must do exactly what he tells her. She must be at home when he arrives, if he arrives. Another name for this character might be the Compensator, for she is constantly adjusting to every crisis produced by alcoholism and compensates for everything that goes wrong within the home and marriage. In addition to the roles of wife, housekeeper and possibly earning part of the bread, she becomes nurse, doctor and counselor. She cannot play these roles without injury to herself and to her husband. Yet everything in our present society conditions the wife to play the role of Provocatrix. If she does not play it, she goes against what society conceives the role of wife to be. No matter what the alcoholic does, he ends up "at home," for this is where everyone goes when there is no other place to go. Act Two is now played out in full. The alcoholic in his helpless condition has been rescued, put back on the job and restored as a member of the family. This reclothes him in the costume of a responsible adult. It has, however, increased his dependency because the consequences of drinking were removed by others and the entire mess cleaned up by persons other than the one who made it. The painful consequences of drinking were suffered by persons other than the drinker, which permits drinking to be a very real problem-solving device for the alcoholic. Drinking removed the psychic pain, and the persons in act two removed the painful consequences of the drinking episode. Act three begins much in the same fashion as act one, but a new dimension has been added. The need for denial is now greater and must be exercised immediately. As the nature of alcoholism is denial of dependency and the person is now more dependent, the denial must be louder and stronger. The alcoholic denies that he has a drinking problem or that drinking is causing him any trouble. He denies that anyone really helped him, denies that his job is in jeopardy, insists that he is the best or most skilled person at his job. Above all he denies that he has caused his family any problems. He blames his family for all the fuss, nagging and trouble that exists. He insists that his wife is crazy, that she needs to see a psychiatrist, or in many instances, as the hostility becomes more intense, hurls unwarranted accusations of infidelity at his wife, knowing all the time they are not true. The real problem is that the alcoholic knows the truth which he so vocally denies. He is aware of his drunkenness and the resulting failure. His guilt and remorse become unbearable. The memory of his utter dependence at the end of the first act is more than humiliating. It is almost unbearable for a person who suffers from a neurosis of omnipotence. There are some alcoholics who achieve the same denial by stony silence and absolute refusal to discuss anything related to the drinking episode. The memory is too painful. Some demand that the family remain silent. Others may permit the family to confess openly their sins of commission and ommission, which are never forgotten by the alcoholic or Provocatrix. Within a reasonable period of time the family adjusts to whatever is their norm. In addition to the denial of the alcoholic that he will never drink again. The others give similar promises. The Enabler will never again come to the rescue, the Victim will not tolerate another drinking episode and the Provocatrix assures her husband that she cannot continue to live under these conditions. This entire verbalization of the situation is in stark contrast to reality. The Enabler, the Victim and the Provocatrix have said this before but did not act it out. The end result is to increase the sense of guilt and failure of the alcoholic, challenge his sense of omnipotence and add to his resrvoir of tension and loneliness. If this psychic pain becomes unbearable, especially with the aid of other members of the cast, there is one and only one certain means of reducing the pain, overcoming the sense of guilt and failure and achieving a very real sense of worth and value. If act two is played out as described above, it is inevitable that at some point in act three the alcoholic will again drink, for this has become the one certain means of relieving pain and achieving a sense of well-being. The knowledge of the immediate comfort far outweighs the memory of what is inevitable and there is in the back of his mind the hope that this time he can control his drinking and gain the maximum benefits as he once did. So the inevitable occurs in act three----the alcoholic begins to drink. When he takes the drink the play does not come to an end. Persons sitting in the audience have the feeling they are watching a three reel movie rather than a play, for the play has suddenly returned to act one without closing the curtain. If the audience remains seated long enough, all three acts will be played out again in an identical fashion. At the end of act three the alcoholic will drink again. The play continues to run year after year. The characters get older but there is little, if any, change in the script or the action. If the first two acts are played out as described above, act three will follow in similar fashion. If act one did not occur we would not have the beginning of the play. Alcoholism and the drama surrounding it would not exist. This leaves act two as the only act in which the trafic drama of alcoholism can be changed, or in terms of achieving lasting sobriety, the only act in which recovery can be initiated by acts of volition by persons other than the alcoholic. The key to this situation is the fact that in act two the alcoholic is the recipient of the action and not the initiator of whatever happens. In this act alone there is the real potential to break the tragic cycle of denial. If recovery from alcoholism is to be initiated, it must begin with the persons in the second act who must learn the dynamics of the illness, and to act in an entirely different fashion. New roles cannot be learned without turning to others who understand the play, and putting into practice the insight and understanding gained from this source. If act two is rewritten and replayed, there is every reason to believe that the alcoholic will recover. He is locked in a phase of resistance to treatment, and the people in act two hold the key to his recovery. If the alcoholic is rescued from every crisi, if the employer submits to repeated victimization, and if the wife remains in the role of Provocatrix, there is not one chance in ten that the alcoholic will recover. He is virtually helpless and cannot break the lock, but he may recover if the other actors in the drama learn how to break the dependency relationship. The alcoholic cannot keep the merry-go-round going unless the others ride it with him and help keep it going. The characters in the second act keep asking the alcoholic why does he not stop drinking, yet these are the very persons whose actions assist the alcoholic in solving his basic human problems by drinking in this fashion. It is completely untrue to state that an alcoholic cannot be helped until he wants help. It is true to state that an alcoholic will not recover as long as other people remove the painful consequences of the drinking episodes. The Victim and the Enabler must seek information, insight and understanding if they plan to change their roles. It is imperative that the Provocatrix enter into some kind of continuing program of supportive counseling or therapy, preferably on a group basis, if she is to make a basic change in her life. In understanding the role of the three supporting actors in the drama, we must remember that they did not learn to play these roles overnight. These persons play what they conceive to be the normal roles that are expected of them in life. They actually believe that they are helping the alcoholic and do not understand that they are helping perpetuate the illness. The Enabler thinks he must not let the alcoholic suffer the consequences of his drinking when it can so easily be prevented by a simple rescue operation. It is like saving a drowning man. It simply must be done. But this rescue mission relieves the anxiety, guilt and fears of the Enabler and conveys to the alcoholic what the rescuer really thinks: "You cannot make it without my help." It reveals a lack of faith in the alcoholic's ability to take care of himself and is a form of judgment and condemnation. The most destructive aspect of the role of the Professional Enabler---minister, doctor, lawyer, and social worker---is that it trains and conditions the family to reduce the crisis rather than using it to initiate a recovery program. The family has known for five or ten years that drinking was creating serious problems but it was not clearly visible to persons outside the family. When the family turns to professional persons before antisocial behavior is clearly visible, it is usually told that the problem is not alcoholism and that there is nothing they can do until the drinker wants help. When the alcoholism reaches the point where it breaks outside the family and the alcoholic turns to professional persons, he secures a reduction of his crisis by seeing and using professional persons as Enablers. This keeps the merry-go-round going. The family which was told initially that there were no visible signs of alcoholism is now taught that when the disease is visible the way to deal with it is to remove the symptoms rather than deal with realistically with the illness. The very persons who fail to identify alcoholism in its early stages now treat the more advanced symptoms by helping the alcoholic get back on the merry-go-round. This further conditions the family to believe that nothing can be done to cope with alcoholism. Even when the family begins to accept the existence of a serious drinking problem and attempts to secure help for themselves or the alcoholic, the role of the professional is usually that of an Enabler rather than one of leading the family and the alcoholic into a long-range program of recovery. As the Enabler is the first person on the scene, he influences the remainder of the second act because it sets the direction and movement of this part of the play. Professional persons often perpetuate the merry-go-round. The Victim does not get on the merry-go-round until he has known the alcoholic for years. Large industrial firms have discovered that when alcoholism begins to disrupt job efficiency, the alcoholic has been employed for ten, fifteen or twenty years. The foreman protects his alcoholic friend, knowing he has a wife and children who will suffer if he is fired. He is not certain of company policy or how to cope with this stigmatized illness. Again personal interest and friendship motivate the Victim to do for the alcoholic that which increases his dependency and adds to the necessity of denial. The Provocatrix is the first person to join the alcoholic on the merry-go-round. If she absorbs the injustices, suffers deprivation, endures repeated embarrassment, accepts broken promises, is subverted in every attempt to cope with the drinking situation and is beaten by a constant barrage of hostility which is directed toward her, she will inevitably feed back into the marriage her own reaction in hostility, bitterness, anger and anxiety. Playing the supporting role of Provocatrix makes the wife sick. She is not a sick woman who made her husband an alcoholic. As a rule she begins marriage as any other average person does. She is caught between the advancing illness of alcoholism and the wall of ignorance, shame and embarrassment inflicted upon her by society. She is literally crushed and needs information and therapeutic help, not because she caused her husband's illness but because she is being destroyed by it. Another reason the wife needs help in the process of recovery is that if she changes her role she will discover she is standing alone. Other members of the cast will treat her as a actor deserting a play when there is no substitute to take her part. This is especially true if she effects a separation, whether by choice or necessity. Some women can effect a change in role by a few conferences with a counselor who is knowledgeable in the area of alcoholism or by attending sessions at a local mental health clinic or alcoholic clinic. Others gain insight by participating in Al-Anon group meetings. The most basic error made by women seeking help is that they want to be told what they can do to stop the drinking without realizing that it may take months or a year or two to condition themselves emotionally to play a new role in the alcoholic marriage. Six months of regular participation in counseling, preferably in a group for a period, should be the minmum goal. If others in the supporting cast do not respond by learning new roles, the wife may need to stay in a supporting group for a period of two or three years before her change is effective. But the wife enters into this activity of seeking help for herself not to guarantee her husband's recovery from alcoholism, but to recover from her own situation. This may, in turn, drastically alter her reaction to the drinking pattern and, in many cases, lead to recovery on the part of the alcoholic. Few husbands can withstand a drastic change in their wives without adjusting to this situation. If there are children in the home, the wife must seek help outside the family circle of friends, if she is to avoid severe injury to them. A Provocatrix places the children between a sick father and a sick mother. The wife who seeks and finds help early enough can prevent much of the destruction which otherwise is passes on to the children through her reaction to her husband. The wife who plays the role of Provocatrix for the sake of the children is hurting rather than helping them. The moral issue is also important. No one has a right to play God and demand that the alcoholic stop drinking. The reverse is also true. The alcoholic, in acting out his neurosis of omnipotence, needs a supporting cast in order to play his role, and the wife has every moral right and responsibility to refuse to act. Literally, she cannot tell her alcoholic husband anything. Her only effective means of communication is to learn to act in freedom from the dominance of his omnipotent attitude. For some wives, this may occur in weeks, but for most wives it takes months or even years. Two factors abort most longe-range programs for the wife. The husband's attitude may range from disapproval to direct threats or even violence. Also, responsibilities in the home may make it very difficult for the wife to leave the home for therapy during the day, and few alcoholic husbands will baby-sit in a responsible fashion while the wife seeks help for alcoholism by attending Al-Anon meetings in the evening. If the husband married at an average age, during the pre-alcoholic stage of his illness, the wife is the first person who joins him on the merry go round when alcoholism appears. Many years later the Enabler and Victim start their roles. If recovery is to be initiated before the illness becomes crucial or acute, the wife must initiate the recovery action. However, the unwillingness of our present society to accept alcoholism as an illness until it reaches the chronic or addictive stage, places the wife in the position of acting as a pioneer in the search for help. If her minister condemns drunkenness and her doctors fails to recognize the existence of alcoholism, her shame is increased and help is cut off. If conditions become unbearable and she consults a lawyer, he may talk in terms of separation or divorce as the only services he can render. This increases her sense of failure or terrifies her with an immediate reaction of anxiety or grief surrounding the possible separation from her husband. So most wives climb back on the merry-go-round. Until there are some drastic changes in our cultural and social attitudes toward drinking as well as alcoholism, the family member who wishes to initiate a process of recovery from alcoholism must understand that it may be a rather long and difficult process. However, if the wife or other family member is willing to enter into a weekly program of education or therapy and work at it earnestly for a period of six months, changes usually occur, not only in her life but in the attitude and action of the alcoholic. A wife cannot make a change unless she believes it to be right. She must have the courage and strength to withstand the initial subversive action of the alcoholic to thwart her program. She cannot be expected to do what is beyond her emotional and financial capacity, but by remaining in a program for months and perhaps even for a year or two, she may resolve problems which at first seem impossible. There is no way to stop the merry-go-round. To spell out concise rules which apply to all members of the cast or any one role is impossible. The family often is able to see the merry-go-round of the alcoholic but fails to understand they are the ones which provide the resources which keep it going. The hardest part of stopping the repeated cycle is the fear that the alcoholic won't make it without help, when it is the very help that he is getting which permits him to continue using alcohol as the cure-all for his ills. If a friend is called upon for help, it should be used as an opportunity to lead the alcoholic and the family into a structured program of recovery. 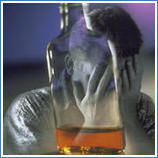 A professional person who has alcoholics as clients or patients should learn how to cope with alcoholism. Specific literature is available through Hazelden as well as local, state and national programs on alcoholism. Short, intensive training programs and workshops are also available for professional persons who are willing to spend time and effort learning more about alcoholism. If a wife thinks her husband has a drinking problem or drinks excessively in a repeated fashion, she should seek competent help and counsel immediately for the purpose of evaluating the situation. If a wife knows her husband has a drinking problem she should seek counsel with the intent of entering group education and therapy. These sessions should not be abandoned after a few visits, for changes do not occur overnight. Regular weekly attendance should continue for several months, for many wives report that it requires at least six months to gain realistic benefits from group participation. This may not seem fair to the wife, but in our present society the wife has one basic choice----to seek help for herself or permit the illness alcoholism to destroy her and other members of the family. As Alcoholics Anonymous is the most widespread resource for the alcoholic today, so is Al-Anon the most readily available help for the wife and other members of the family. There are also Alcoholism Information Centers, Mental Health Centers and some professional persons who have learned enough to provide competent counsel for the family. If a persistent search is made, the wife can find a source of help. This is the only realistic point where the merry-go-round of denial may be broken during the early stages of alcoholism. It is also the only realistic method by which the family may introduce a recovery program into their situation. Once this is done the family member must continue to use whatever help is available abd build her own program of recovery, preferably with an established group. Initiating a recovery program may cause greater conflict and suffering initially, but in the long run it is far less painful than helping the alcoholic continue to drink by being a member of the supporting cast in the play.